Why Choose the Automotive Technician Program? It’s a good time to be an automotive student! With the ever-changing technology, cars are growing faster, safer and more fuel-efficient. Semi-autonomous vehicles are already on the road, and fully autonomous vehicles are not far off. Our Automotive Technician program immerses students in hands-on learning that includes the newest technology so they are prepared for a career after graduation. The 85,000 square-foot automotive facility features state-of-the-industry paint rooms, computer labs, classrooms and glassed-in shop areas. The CPTC Automotive programs have won numerous national awards. We are an ASE/NATEF Master Certified training program that started one of the first Hybrid, Electric and Alternate Fuels programs in the U.S. If you have a passion for cars and using knowledge and hands-on skills to make them work better than ever before, this might be the program for you. Understand the theory and operation of, identify components of, and diagnose and repair automotive heating and air conditioning systems in a live work environment. Understand the theory and operation of, identify components of, and diagnose and repair automatic transmission/transaxle in a live work environment. Understand the theory and operation of, identify components of, and diagnose and repair manual drivetrain, drive axles, and four-wheel and all-wheel drive systems in a live work environment. Understand the theory and operation of, identify components of, and diagnose and repair automotive electrical and electronic systems in a live work environment. Understand the theory and operation of, identify components of, and diagnose and repair fuel, ignition, and emission systems in a live work environment. Understand the theory and operation of, identify components of, and diagnose and repair steering, suspension, standard brake, anti-lock brake, and stability control systems in a live work environment. Understand the theory and operation of, identify components of, and diagnose and repair minor and major engine mechanical systems in a live work environment. Understand the theory and operation of, identify components of, and diagnose and repair Hybrid, Electric, and Alternate Fuel systems in a live work environment. Earn an automotive credential from one or more of the following sources: ASE, Ford Maintenance & Light Repair, Audi Education Partnership. Identify basic automotive systems and shop safety requirements. Set up welding equipment and select proper equipment for heating, cutting, and MIG welding. Diagnose and repair standard and ABS systems. Diagnose and repair suspension and steering systems and perform wheel alignment procedures. Perform brakes, suspension, and steering repairs in a live work environment. Diagnose and repair minor engine mechanical systems. Diagnose and repair major engine mechanical systems. Perform engine mechanical repairs in a live work environment. Diagnose and repair automotive electrical systems. Diagnose and repair automotive electronic systems. Diagnose and repair automotive heating and air conditioning systems. Diagnose and repair automotive ignition systems. Diagnose and repair automotive fuel systems. Diagnose and repair automotive emissions systems. Diagnose and repair automotive clutch and manual transmission systems. Diagnose and repair automotive axles, drivelines, differentials, and transfer cases. Perform drive-train repairs in a live work environment. Diagnose and repair automatic transmissions. Diagnose and repair automatic transaxles. Perform automatic transmission/transaxle repairs in a live work environment. Dave has degrees from Denver Automotive and Diesel College, Renton Technical College and Clover Park Technical College. He's been a professional automotive technician for more than 15 years and is an ASE Certified Master Automotive Technician. He's been teaching at CPTC since 2003. Automotive Technician Program Information Sessions are hosted in Building 3, Room 307, at 3 p.m. on the second and fourth Wednesdays of the month. For more information and a complete schedule of session dates, click here. 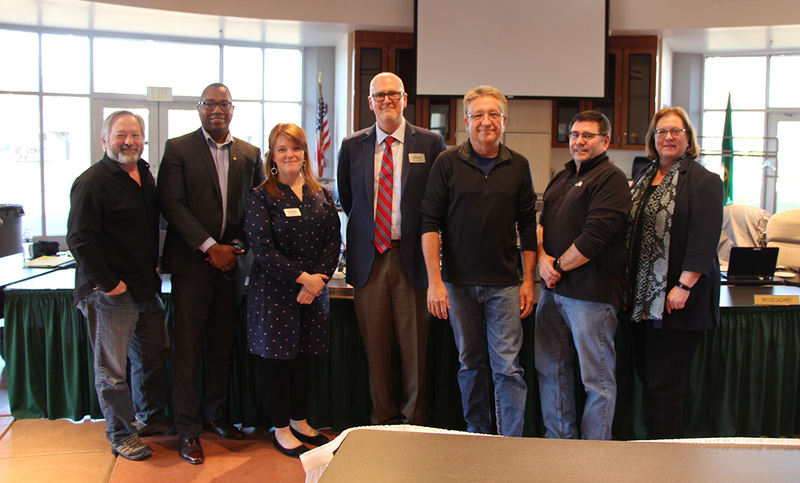 Clover Park Technical College’s March Board of Trustees meeting concluded with the Board awarding tenure to Jay Lanphier, Michael Smith, and Jennifer Weinmann. 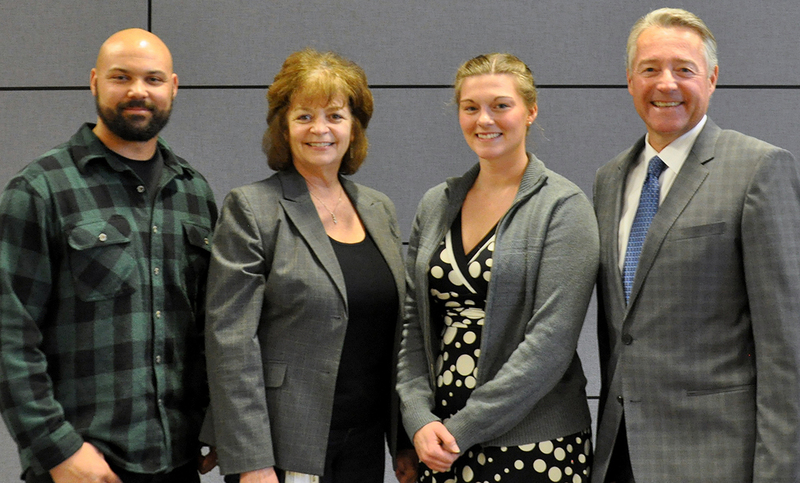 Clover Park Technical College automotive students will have access to a new scholarship for the 2017-18 academic year courtesy of the RPM Foundation and BMW Northwest. Ericka DeBoer is an artist, and her canvas is a car. 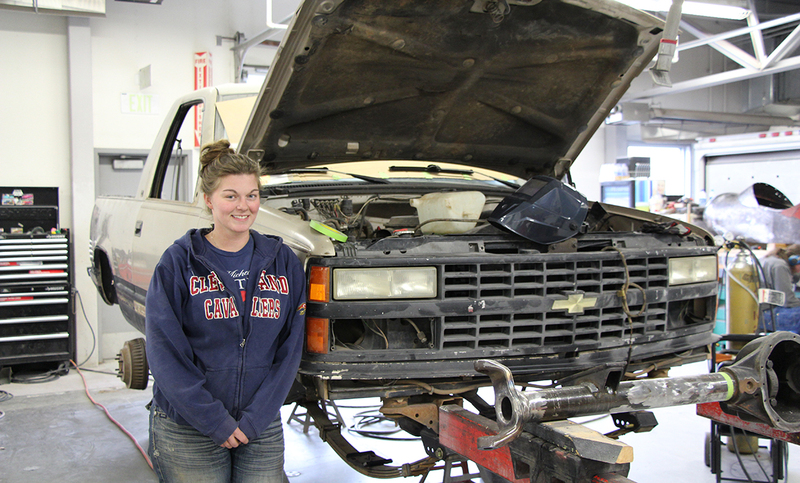 The Clover Park Technical College Automotive Restoration and Customization student knows some people will hear that and look at her funny, but it’s true.